Study: Any Description Of A Woman's Appearance Hurts With Voters : The Two-Way Any mention — good, bad or neutral — of how a woman was dressed made voters less likely to vote for her. In a tight race, said the researchers, it could make the difference between winning and losing. President Obama's comments about California Attorney General Kamala Harris' looks made headlines last week. Any mention — positive or negative — of a woman's looks, hurts her chances with voters. That's according to two new surveys commissioned by Name It. Change It, a joint project of the Women's Media Center and She Should Run. "In the survey on media coverage of women candidates' appearance, conducted by Celinda Lake of Lake Research Partners and Robert Carpenter of Chesapeake Beach Consulting, the research used actual quotes about women candidates from media coverage of the 2012 elections and demonstrates that when the media focuses on a woman candidate's appearance, she pays a price in the polls," the Women's Media Center said in a press release. "This finding held true whether the coverage of a woman candidate's appearance was framed positively, negatively or in neutral terms." Another study presented participants with profiles of "candidates" Jane Smith and Dan Jones. If participants only read the profiles, the woman emerged with an edge. But that edge was eclipsed immediately, as soon as physical descriptors — like "Smith dressed in a brown blouse, black skirt, and modest pumps with a short heel..." — were added to a "news story." The survey also found that when the women themselves or a surrogate called out the sexist language, they earned back some support. That was the case even when the respondents did not read any of the sexist language. Celinda Lake, one of the researchers, told Poynter that the bottom line is that "women candidate pay a real price" when the media takes notice of their appearence. "Even what we thought was benign coverage about how a woman dresses has a negative impact on her vote and whether voters perceive her as in touch, likeable, confident, effective, and qualified. And, in close races, sexist coverage on top of the attacks that every candidate faces can make the difference between winning and losing." 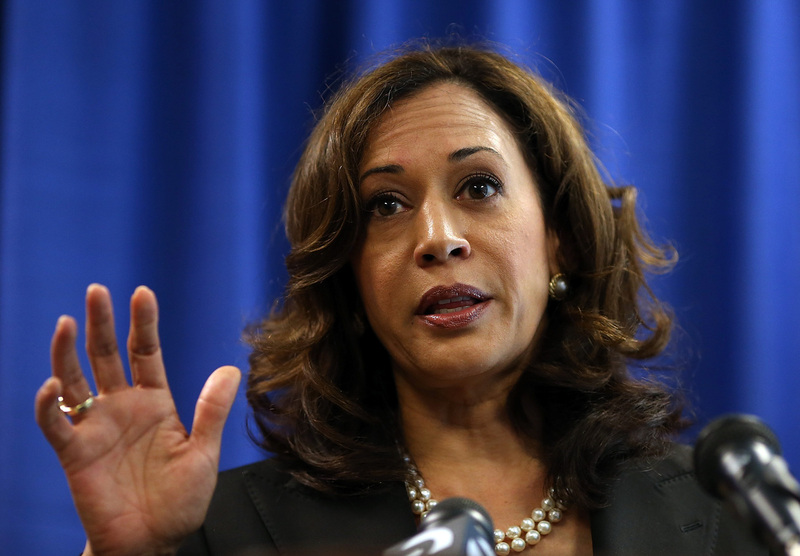 Of course, this study gives some context to the uproar over Obama's comments about California Attorney General Kamala Harris, last week. The study was conducted online last month. It has a margin of error of 2.5 percent.